Description: -This Areca has a very large seed, the size of a goose egg. 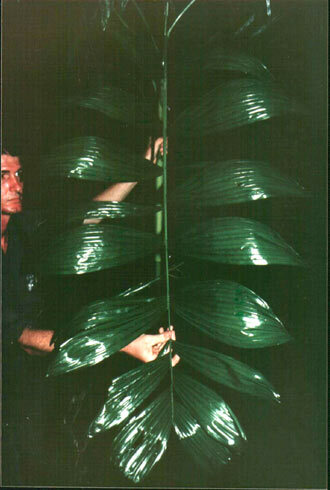 With a slender trunk of up to 6 in diameter the foliage is quite broad and is glossy green. Growing Climate: -Will grow in protected sub-tropical climate. Very rare and hard to get. We only sell plants of the species not seed. From PNG temp recorded 4.C to 35.C.